In Wonderland Playhouse’s infancy, when I had no foggy clue how to build a business, I ran into a family friend at the farmers’ market. Jim had known me since I was 14 and had employed me as choreographer at the arts-focused pilot school where he served as principal when I was barely 20. He is one of the benevolent repeating wizards in my herstory. You know those wizards. They show up at critical moments along your timeline and kick you in the direction of your greatest growth (usually with a wink and a tip of the hat). Jim invited me to visit him at work, where he was the visual and performing arts coordinator for the Orange County Department of Education. Among the many opportunities he gifted me was a professional introduction to Project HOPE, the OCDE’s school for homeless students that, in turn, offered me a slot in their after-school program. HOPE School kept first through eighth graders in school year-round on a shortened day and provided after-school enrichment until 5 p.m, when the kids were bused to local shelters for the night. Some lived in the shelters; some lived on the streets. Often they were exhausted. During my first week under the watchful eye of the coordinator, two of the youngest students fell asleep on the floor and for reasons I couldn’t explain, I let them sleep. The coordinator agreed with my choice because, I learned, they lived outside and didn’t sleep at night when it was cold. Her words knocked the wind out of me. These were sweet, funny five and seven year-old sisters. My initial shock gave way to sadness as my mind obsessively judged my ignorance. I could not fathom their lives. HOPE players were normal kids who loved their families, struggled with their friends, and were painfully aware they were different. HOPE School tried to keep these kids together. When they weren’t moving around with their families they lived together, rode the bus together, and attended school and after-school together. They were a tight group. More like 30 siblings than just school chums they scolded each other mercilessly, the elders dominating the youngers to the point of tears, name-calling, and retaliation. It appeared they had little tolerance for each other. This, I would learn, was their most clever masquerade. Improv: How do you engage students you don’t understand? I struggled a lot. HOPE players had zero interest in acting or improvisation. Not one of them wanted to play at being someone else. Likewise, storytelling was frustrating as they would tell only one story – the Disney prince and princess story. Most of them enjoyed art so, Yes! And, the Wonderland Playhouse storybook project evolved. We wrote and illustrated books using large format (22×30) newsprint so each player could contribute art to each page. We used markers, fabrics, paint, glue, anything we could find. Each page was created by the kids who showed up that day. For this reason the characters look different from page to page, but the story is fresh and it worked. Evoking a fresh story from them took some trickery. Together, we developed cards with known story elements: a prince, a princess, a sick grandmother, a biscuit basket, a dragon, etc. As we collaborated, instead of asking them to shout out story elements we drew a card. In this way, The Prince’s Wish, was written. I concealed my delight when the princess card was left in the discard pile. I felt its absence made a more interesting story possible, but the players proved me wrong. As we fleshed out the story they campaigned relentlessly and en masse to write the princess in, because for them it could be no other way. Yes! And, . . .. Improv wins again. Their heroine surprised me. She was was a plucky activist whose innovative choices spoke volumes about HOPE’s true operating system. Their masquerade concealed a small and inclusive tribe, where some had unskilled behaviors that might unleash the group’s torment, but never its condemnation. Some lied and all knew who they were, but the only reaction was a sort of quiet agreement that struggle was a thing. Some had traits that exhibited in other groups would bring judgment, humiliation, and possibly alienation, but the heart of HOPE was tolerance. Even the biggest troublemaker among them was needed. No one was kicked off their island. They accepted the difficult ones and the difficult days. They didn’t need to study improv, they were masters. Although sometimes sad, tired, or reluctant, they said Yes! And, . . . everyday. The economic vacuum of 2008 sucked the life out of several Playhouse contracts, including HOPE School. Early on I had been advised not to produce anything for HOPE players to take home (because they had no home to take it to). For me, stories are precious so each week I carefully stored their works in files and dragged them behind me in a wheeled plastic bin that I kept in my car. At the end I printed their stories into colorful books and presented them in a class celebration. The Prince’s Wish was the story they were most proud of. Pride doesn’t begin to describe how they touched me. While I had always felt myself to be tolerant by nature, anything I truly know about inclusion I learned from HOPE school. Read The Prince’s Wish here: the-princes-wish. The one thing I feel most deeply about is creative freedom – for everyone. All my passions align with that: health, children, nature, education, dreaming. Because I am a creative I cannot say I am this or that, because it sounds ridiculous. I am complicated and my identities seem endless and forever shifting. Today’s list: daughter, wife, mother, ex-paralegal, Pacific Northwest resident, grade school office manager, writer, storyteller, dancer, actor, yoga teacher, improviser, gardener, empath, psychic, bicycle-riding small town dweller, lover of animals and growing my own food, and devotee of following my own path. My past is littered with lifetimelines filled with identities that are now mere chapters in my herstory. Today is destined to be a chapter one day. I have friends who say they don’t like change. I can’t relate. I thrive on it. Boredom is my Kryptonite. Now you can see why the final five years of my 30-year paralegal career put me to sleep. Earn and spend, earn and spend – the cycle bored me while my creative self starved and I obsessed over my hunger. I searched for creativity when not working, raising kids, and remodeling my house. 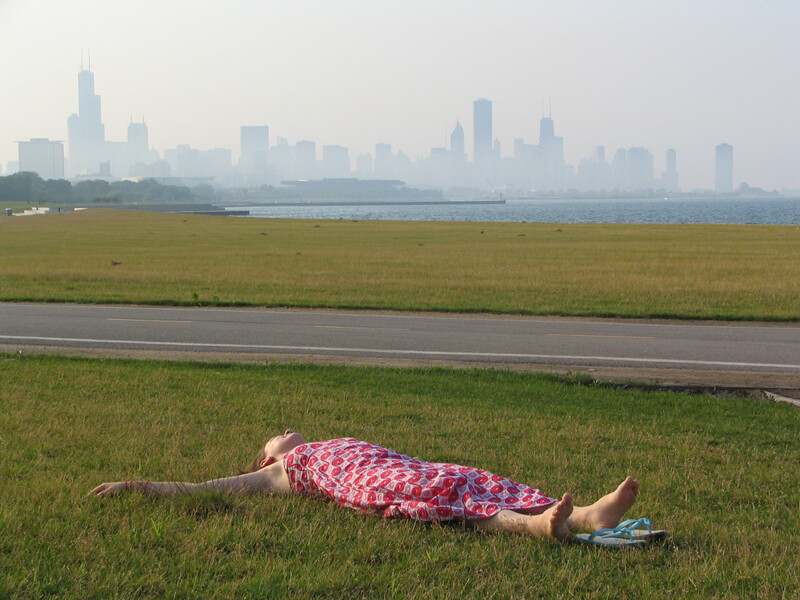 I binged on acting, ballet, and writing classes. The most delicious treat I found was improvisation and like potato chips, one bite derailed me. I did something crazy. In 2006, I retired and started a children’s theater. 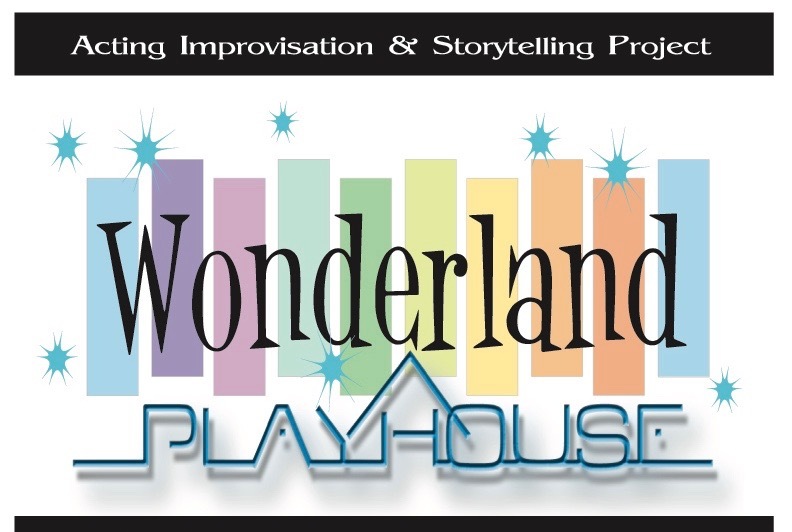 Wonderland Playhouse Improvisation and Storytelling Project evoked kid-told stories and mounted them into full-scale theater productions. The Project was embraced by the local art center, several after-school programs and the Department of Education. We played in galleries, community centers, parks, and multi-purpose rooms. Wonderland players were a diverse group: kids whose parents searched for options, kids who believed in fairies, kids who didn’t like sports, science fair winners, kids with special needs, gentle kids, shy kids, funny kids, kids who didn’t talk – all of them brilliant and exceptional. There are few rules and no wrong answers in improv. Every impulse offered is valid. The only answer to every question is, Yes! And, . . .. Improv done well leads to trust, intimacy, and a lot of fun. Players contribute in any way they imagine. For the most part, kids are natural improvisers. Have you ever seen a kid create a whole world while no one is watching? I was driven by a deep knowing that kids’ voices matter and I wanted to hear their stories. Once the kids knew they could not fail, they flew. Their stories were wild and we laughed a lot. Sometimes adults didn’t understand what we did, but that didn’t stop us. The players thrived and so did I. Storytelling together broke us all free. We mounted story after story until the ’08 market downturn caused evaporation of the Playhouse contracts. Then, I took the theater home to my backyard and we continued for another year. Leading the players was entertaining, exhilarating, challenging, and humbling. They surprised and delighted me everyday. I look forward to exploring all the ways creative freedom shows up in this blog. I will write more about Wonderland and how its players inspired me to write courageously. StarWalker and the Fairy Queen is my first book. There’s a preview on my website.